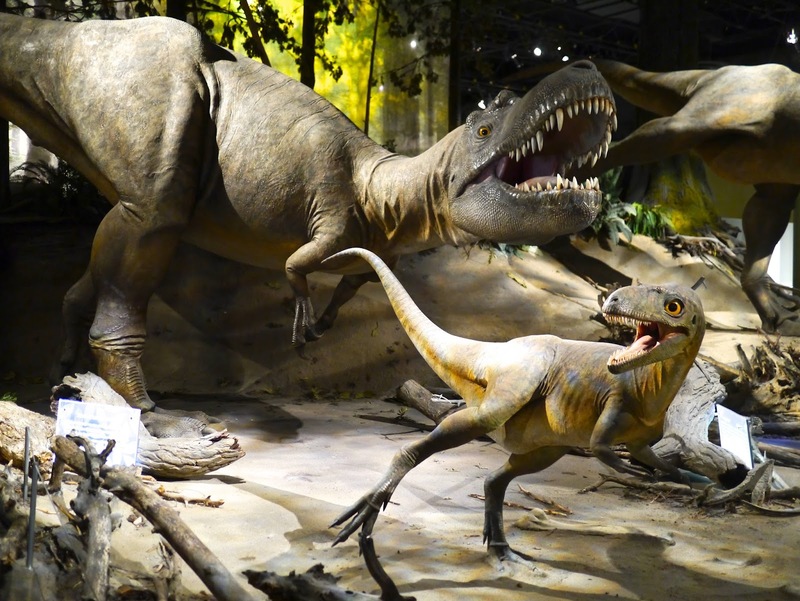 The town of Drumheller in Alberta, Canada certainly does love its dinosaurs! Well, it is located smack-dab in the middle of a dinosaur and fossil rich area after all. 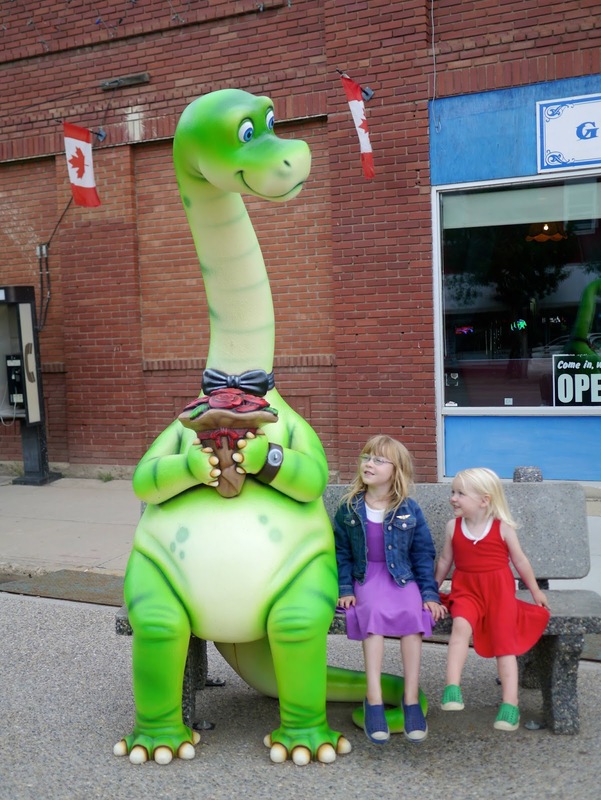 Driving through Drumheller when we first arrived we noticed colourful dinosaurs dotted around the town's street corners. The girls were pretty taken by these so we decided to go on a little dinosaur hunt and see how many we could find. When you think of Canadian landscapes you tend to think of snowy mountains, lush pine forests, fertile green farmland etc. The image of badlands (harsh, dry environs unsuitable for farming) don't tend to spring to mind. Well, at least not when you think of the southern parts of Canada. But sure enough Canada has badlands and over the past few days we were visitors to such a place. Now I must point out that what we saw of the Canadian Badlands was much less arid than most farmland we've seen back home in Australia. But I guess that by Canadian standards the land's not so good! 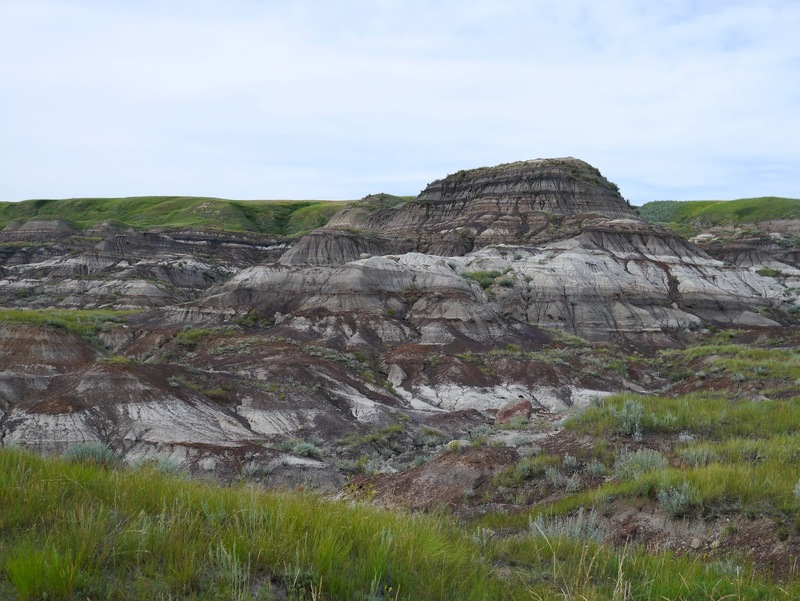 The Canadian Badlands are located east of Calgary. After driving for a few hours through some of the greenest farmland I've ever seen we arrived in the Badlands and the town of Drumheller. The change of scenery is quite sudden. The green and yellow of endless canola fields gives way rocky formations striped through the ages in shades of brown, red, white and black. The scenery is spectacular, quite like something that you'd expect to see in Utah - although on a much smaller scale, I'm sure. 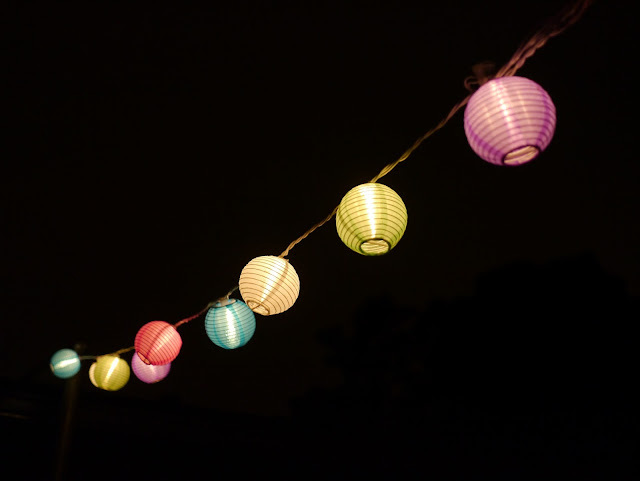 Last night we went to a Summer Bonfire Party hosted by my friend Hanna. Hanna always puts on the best parties. You may remember the fantastic Easter Party that she held back in March. You can see it here. Last night's Bonfire Party was no exception and we all had a great time. We toasted marshmallows over the fire, we made s'mores, we had a BBQ, we cooked sausages over the fire, the kids had fun playing together and the adults had a great time catching up with friends. A perfect Summer evening. One of our all time favourite places here in California is the Monterey Bay Aquarium. We visited the aquarium back in April last year and we all absolutely loved it. 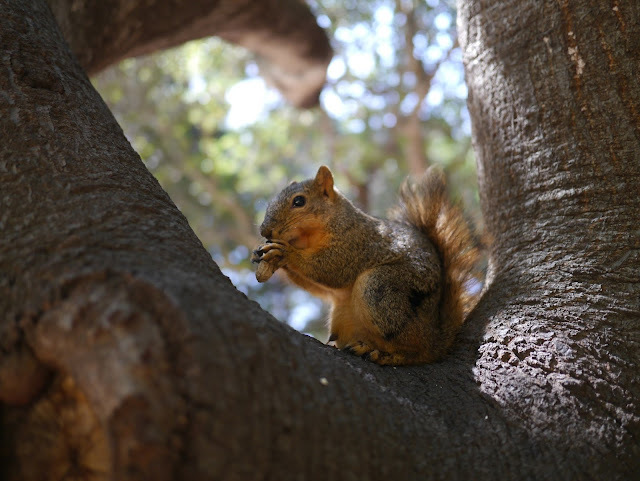 You can see our visit here. 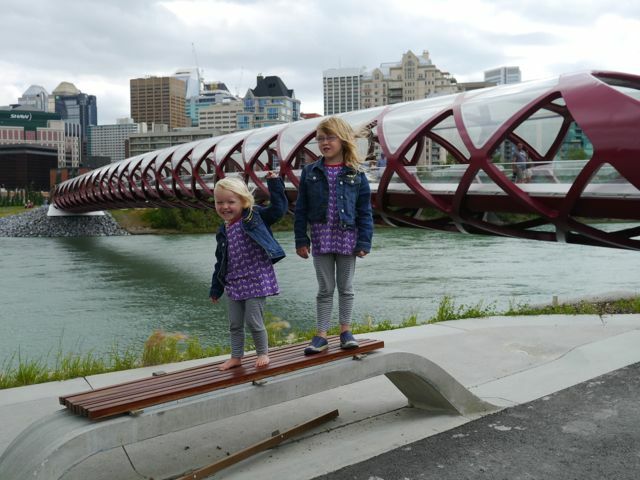 It's such a wonderful place to visit and we hope to go back again one day soon. So when I discovered that Monterey Bay Aquarium has a mobile display here in the Bay Area over Summer we were all pretty excited. 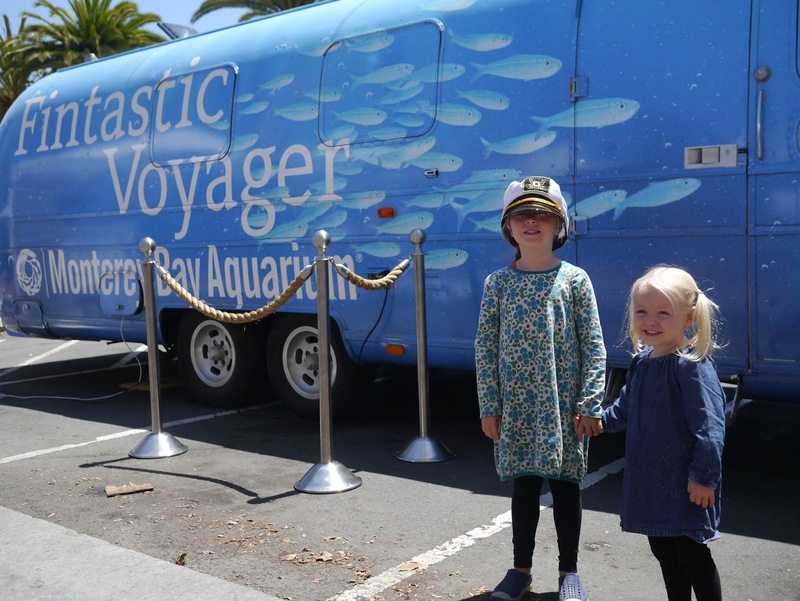 Today I took the girls to explore the ocean in the Fintastic Voyager, an airstream trailer converted into a "submarine on wheels". 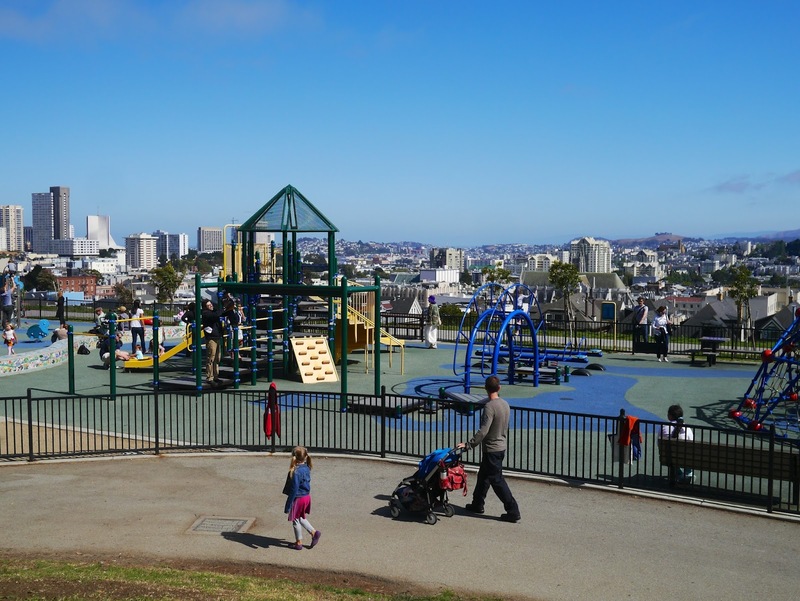 Today we headed into the city for the annual Fillmore Jazz Festival. We enjoyed listening to some great live music, ate greasy festival food and walked up and down Fillmore Street taking in the sights and sounds (and walking off that greasy food!). After a few hours of music, food and crowds the girls were ready to move onto something else. I'd spotted a hilly park down one of the side streets so we thought we'd go check it out. This turned out to be one of the best calls I've ever made while exploring the city and we ended up in a fantastic playground with amazing views over the city. 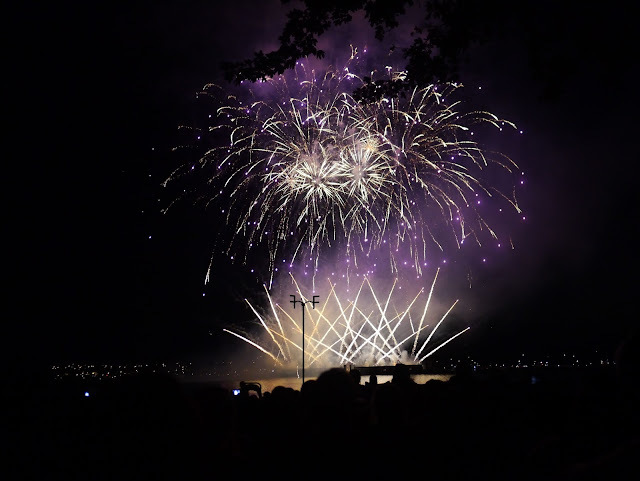 I can't believe we're already celebrating our second 4th of July here in America. It doesn't seem that long ago that we were celebrating our first. Today we celebrated in much the same way we did last year. 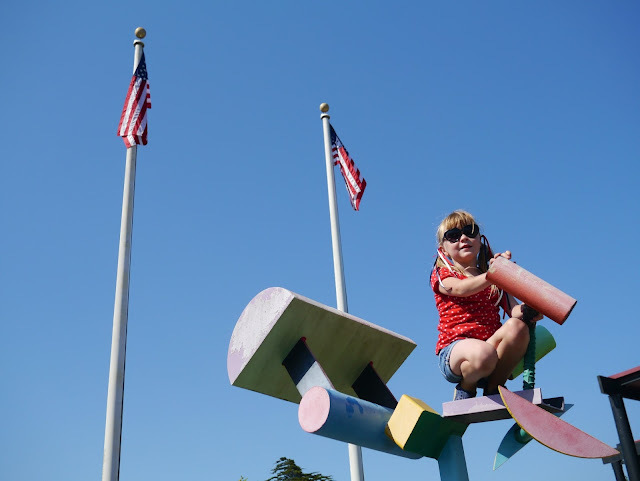 We headed down to the marina here in Berkeley for junk food and carnival rides at the 4th of July festival before heading home to watch the fireworks from the roof of our building. Back in November the girls and I made hand print turkeys and we've been eager to make something similar ever since. 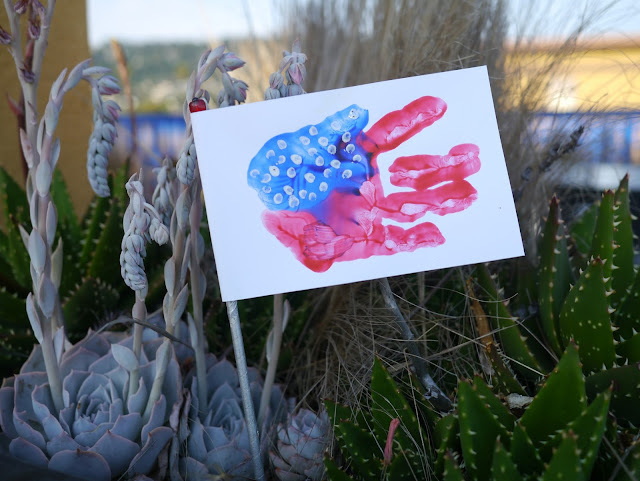 Searching through Pinterest for 4th of July craft ideas I came across just the thing: hand print American flags! 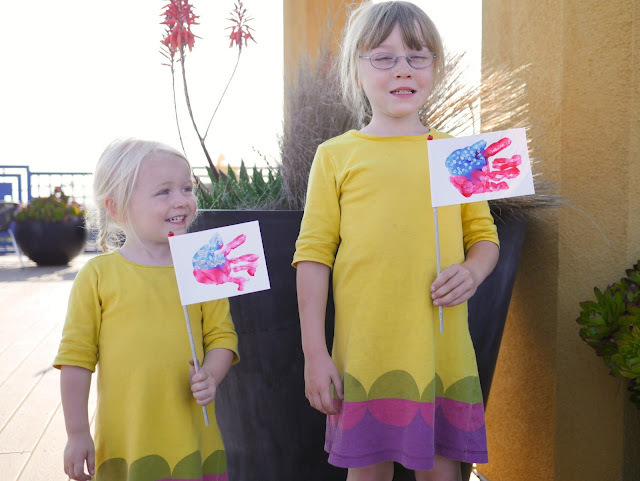 These flags were really simple and lots of fun to make. Anything that involves covering your hands with paint is always fun!